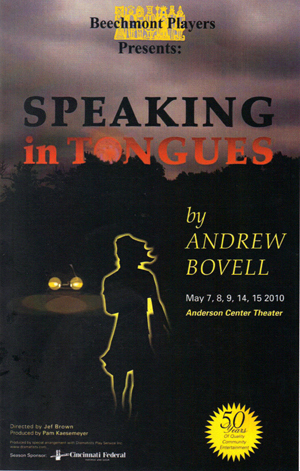 Speaking in Tongues – Beechmont Players, Inc. In this psychological thriller by Andrew Bovell, two couples in unstable marriages inadvertently exchange partners in a night of adulterous encounters. A psychologist has disappeared on a deserted road. As the play progresses and revelatory details accumulate, these two seemingly disparate stories become linked in a chain of coincidences that leads to an utterly unexpected conclusion.